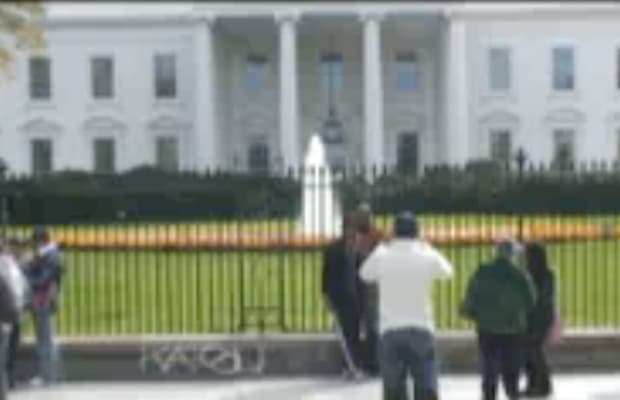 "I was in DC taking things in with a fellow BTM'r and we were near the Whitehouse. I thought how funny would it be if I had homie film me while I motioned a tag on the gate, and later in after effects edit it to look like I actually did it. I got the footage and spent the next month going frame by frame editing in the tag. It was harder than I thought and I ended up learning a lot about superimposing footage. The video got a good amount of hype, or what I like to call 'fame tokens', and got me thinking about how I could get up in the streets and online to create awareness of my graffiti."